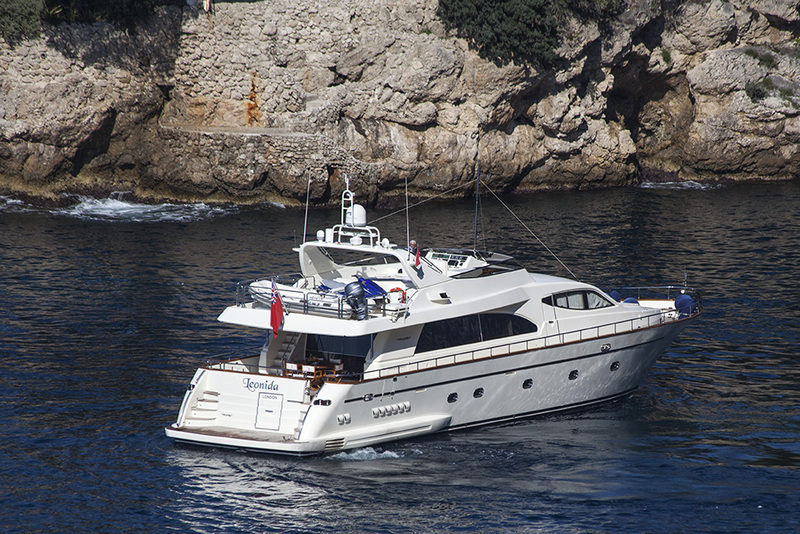 Motor Yacht LEONIDA 2 (EX LEONIDA) is a Falcon 86 launched in 2009 and refitted in 2017. 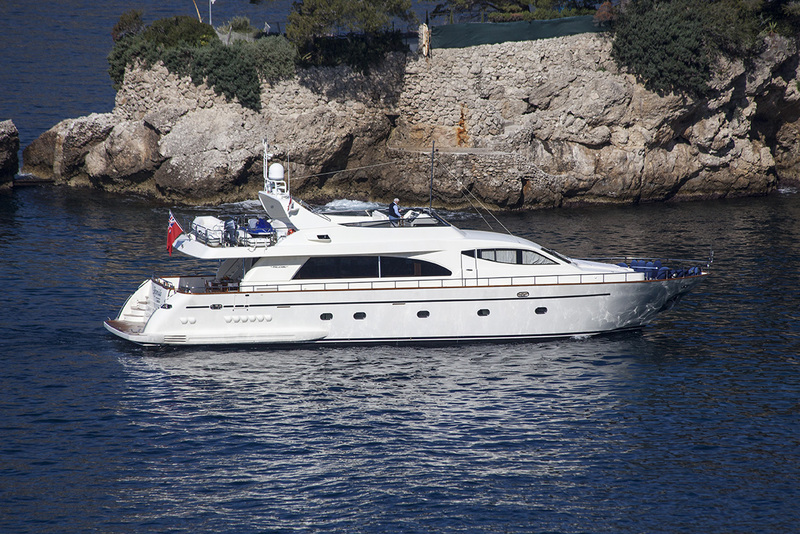 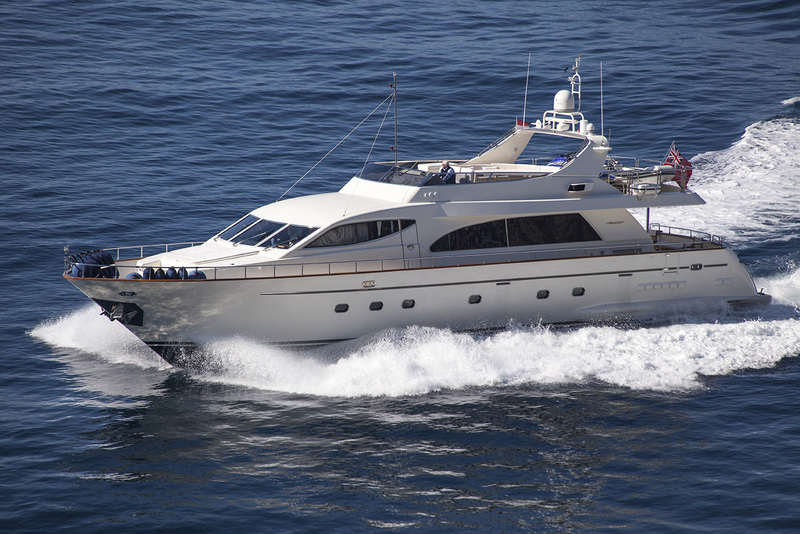 She combines high-performance cruising of 22 – 28 knots with a comfortable interior and efficient layout. 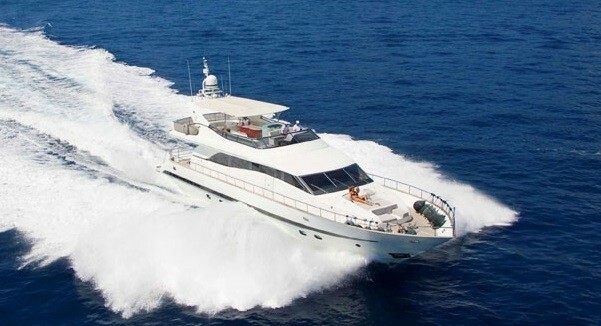 Motor yacht LEONIDA 2 is a superb modern vessel that was Falcon 86 of the year 2009. 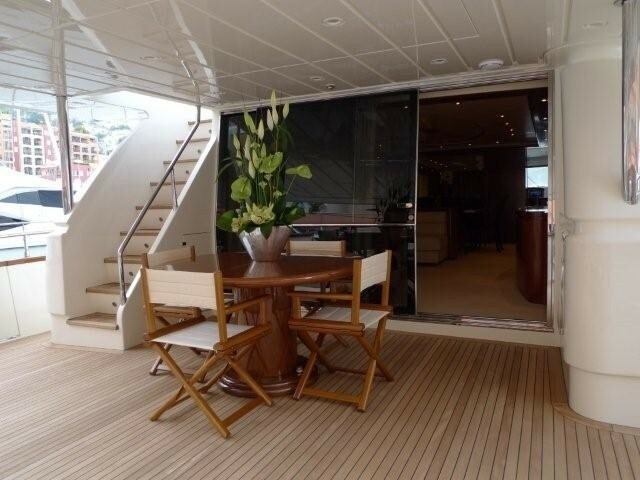 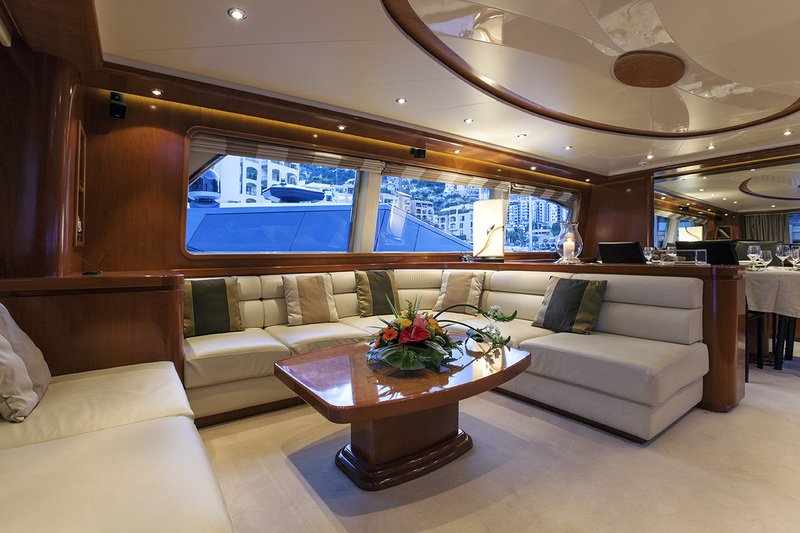 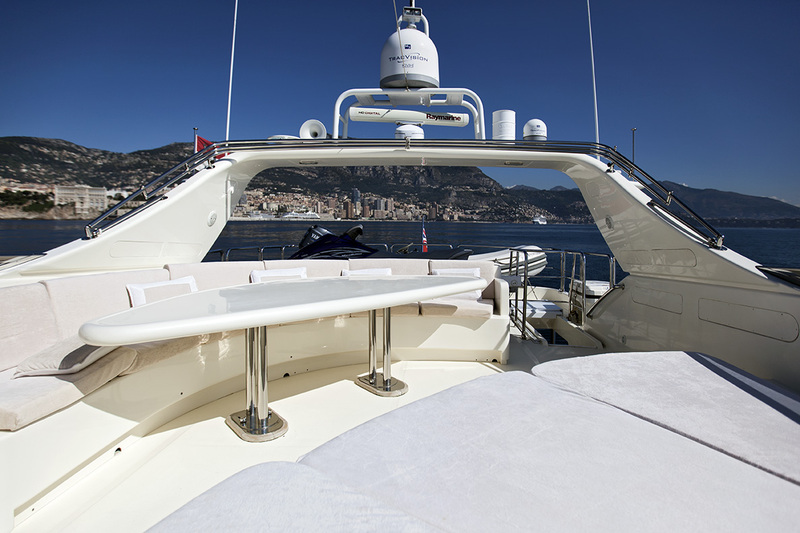 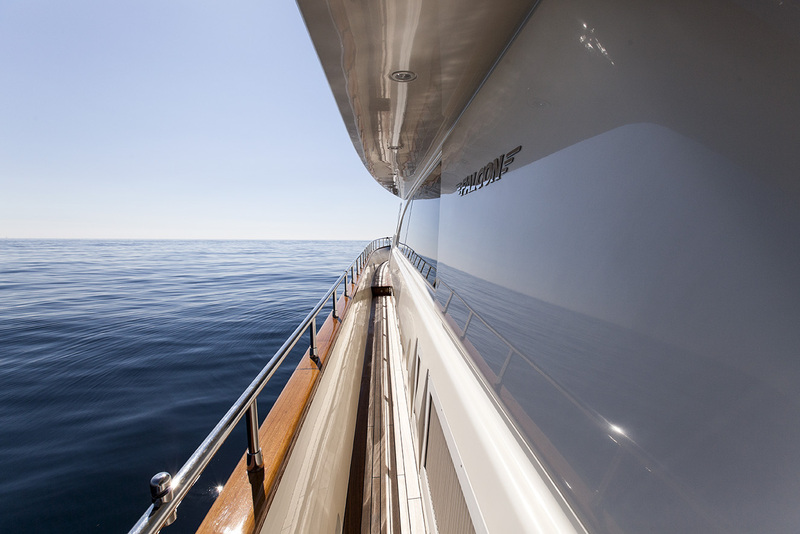 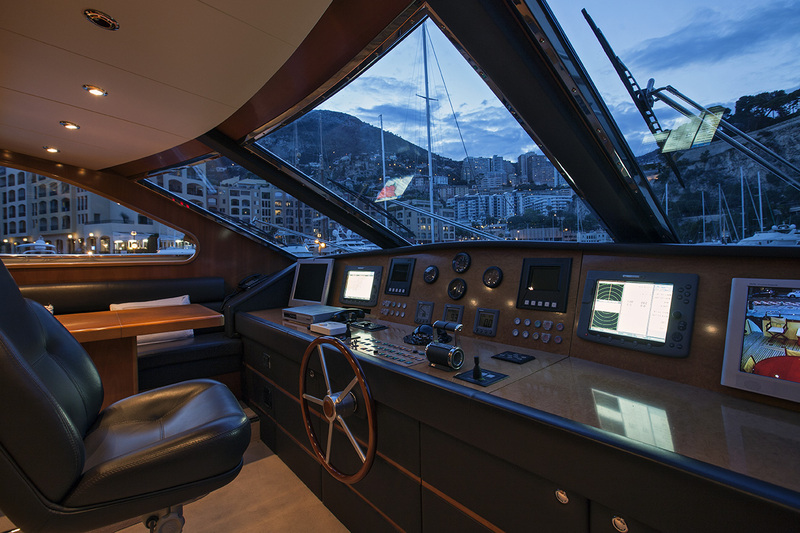 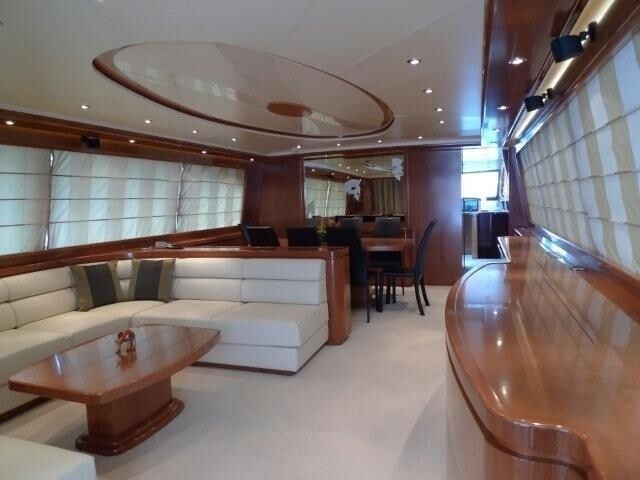 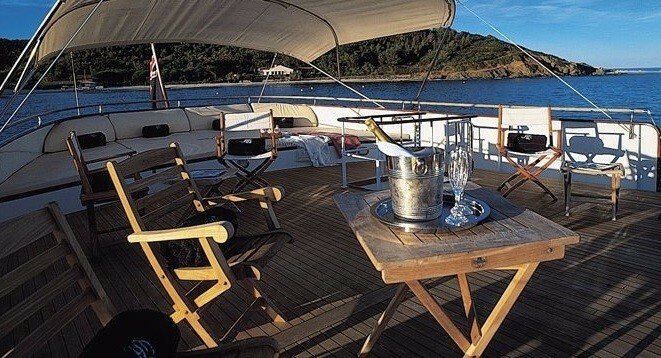 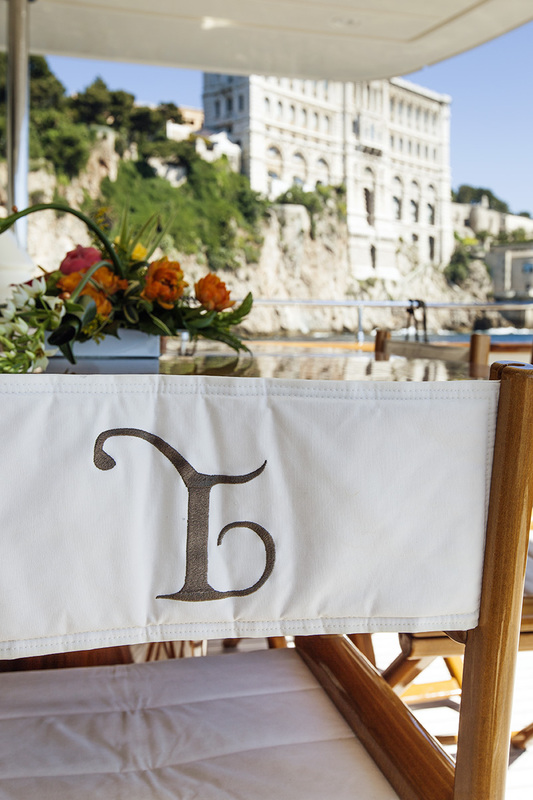 She is able to accommodate up to 10 guests in 4 cabins and is based in Monaco and the Western Mediterranean. 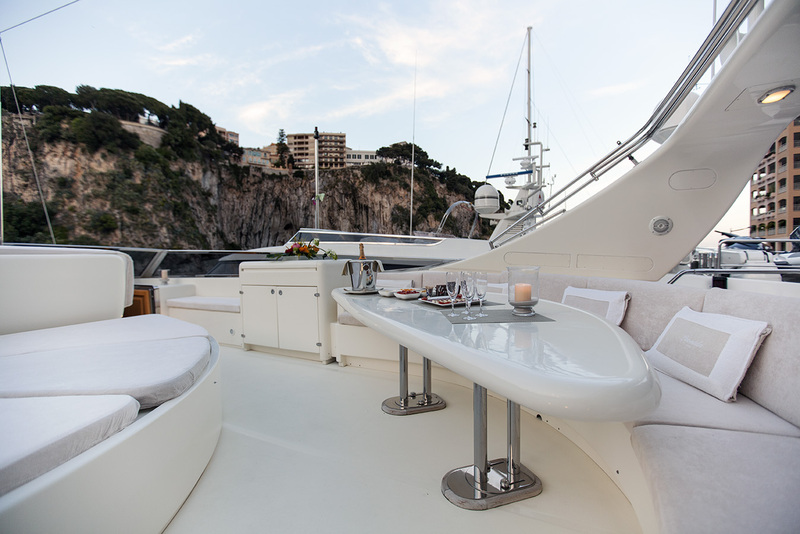 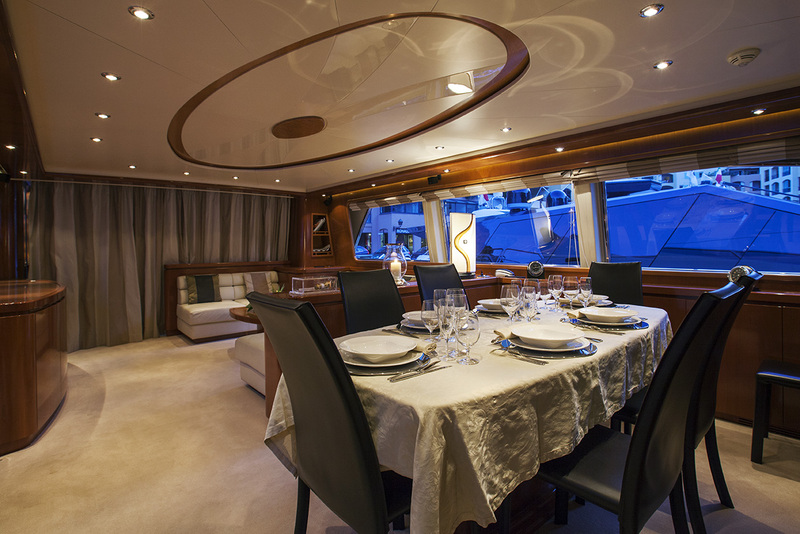 The Falcon 86 LEONIDA 2 offers formal dining inside and alfresco dining option on the main aft deck and on the sundeck. 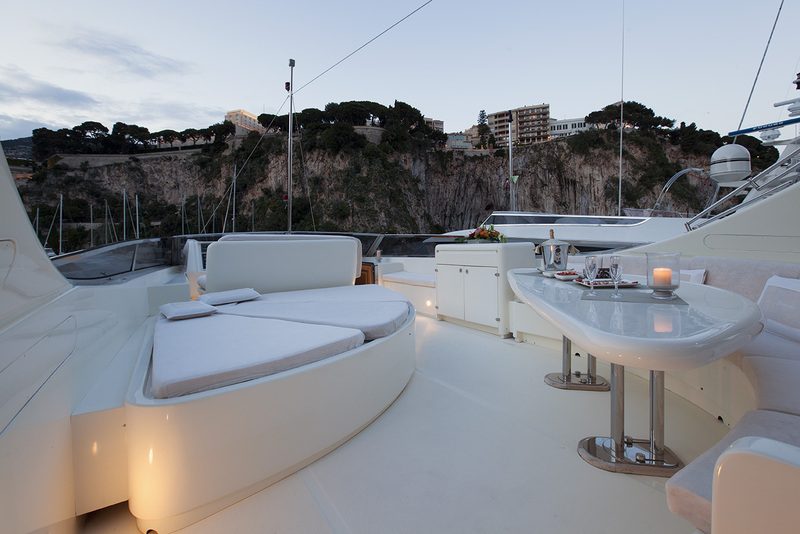 The sundeck is a superb place to spend time taking in the panoramic Mediterranean views. 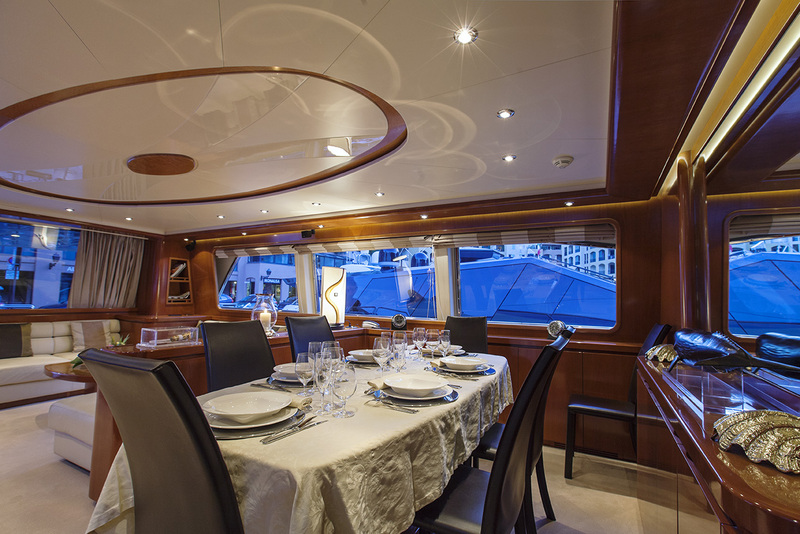 With sun lounges on the top deck and sunpads forward of the bridge, LEONIDA 2 offers plenty of space for guests to relax and soak up the sun. 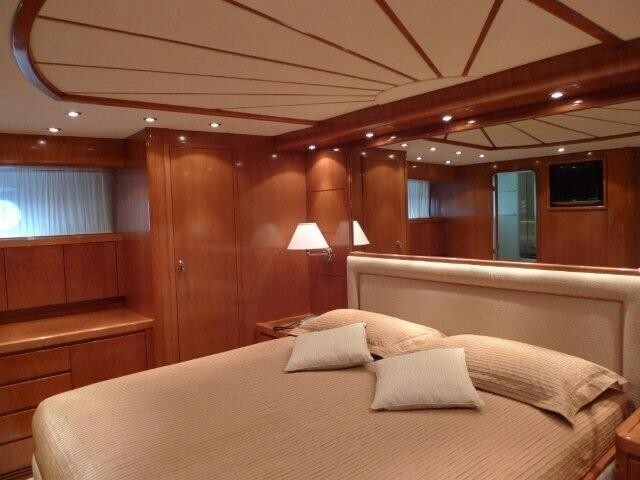 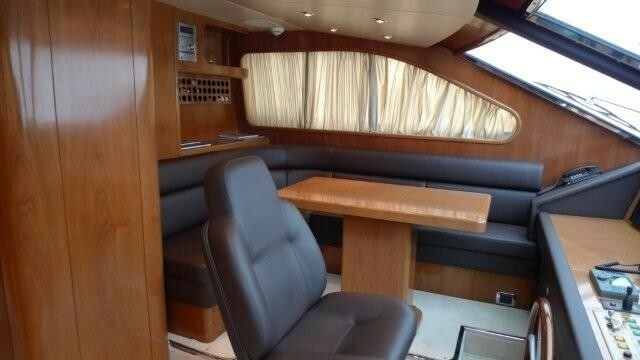 Motor yacht LEONIDA is has a delightful and spacious salon and her cabin configuration is ideal for friends and family with four comfortable and well-equipped cabins, each fitted with an ensuite bathroom and varying entertainment facilities. 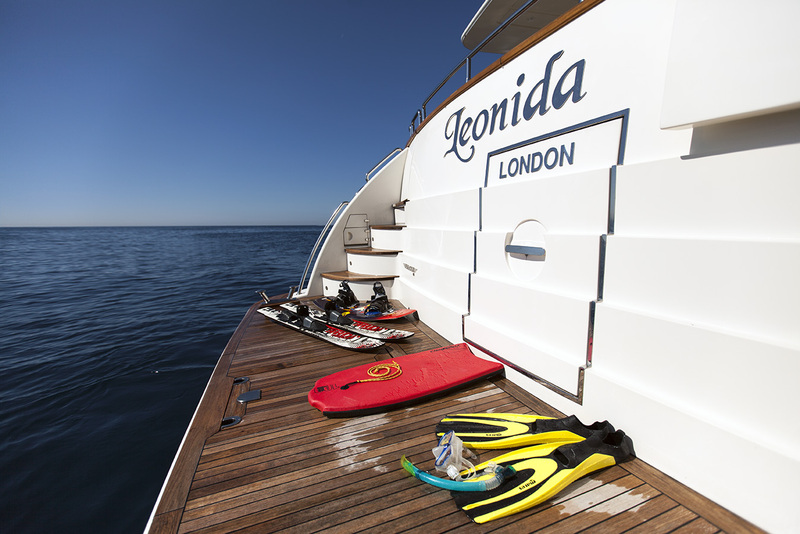 Motor Yacht LEONIDA 2 has a crew of 4 and is based in the charming port of Fontvieille, Monaco – the ideal starting port for a Mediterranean yacht charter. 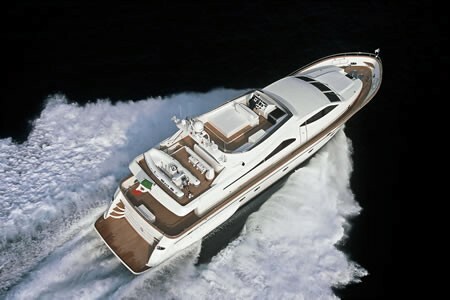 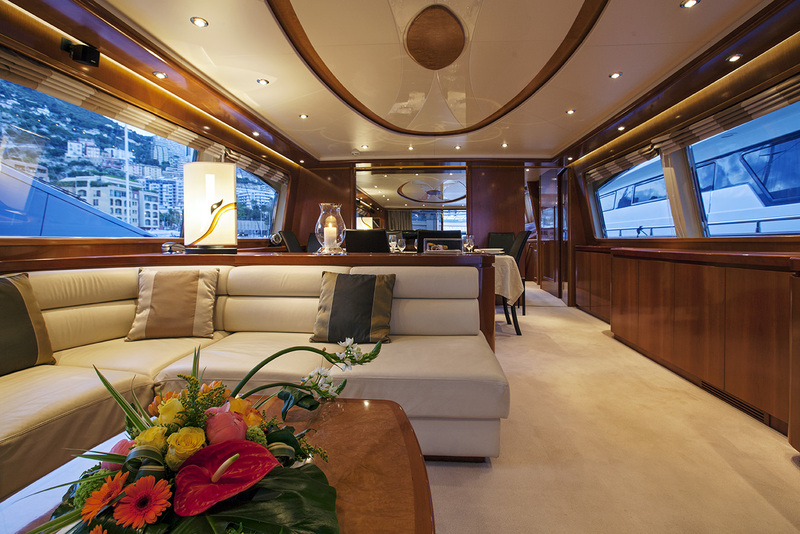 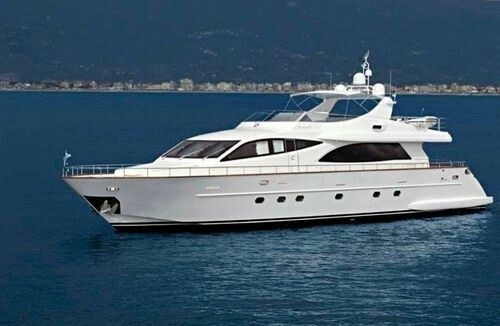 The Falcon 86 motor yacht LEONIDA 2 is able to accommodate up to 8 guests in four spacious cabins. 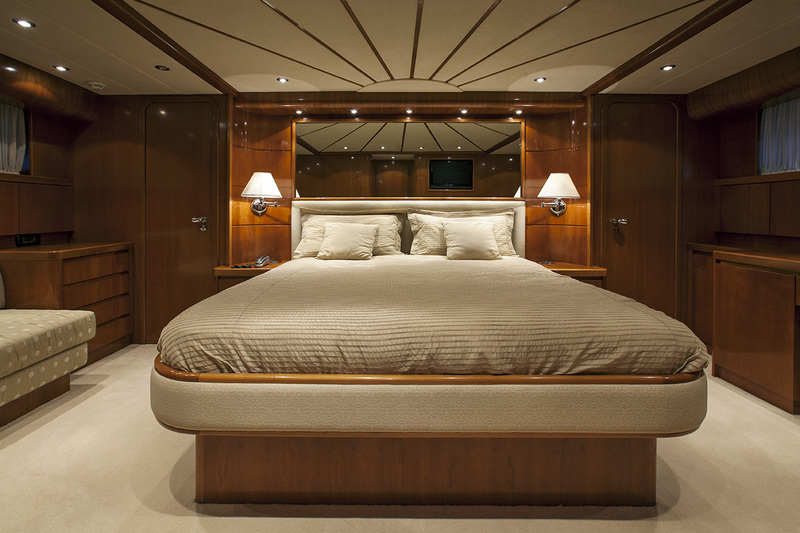 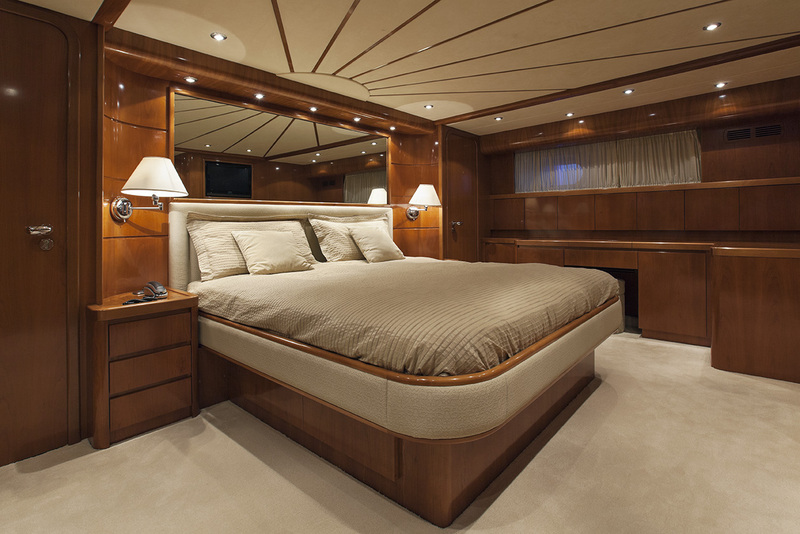 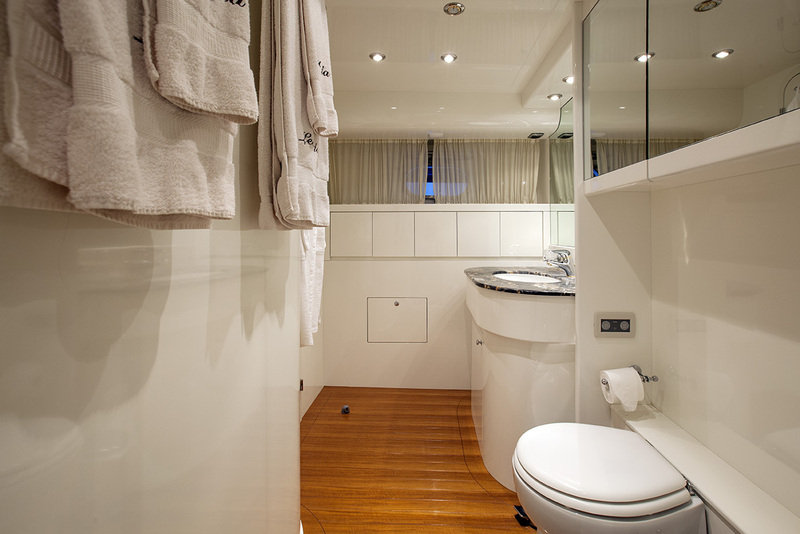 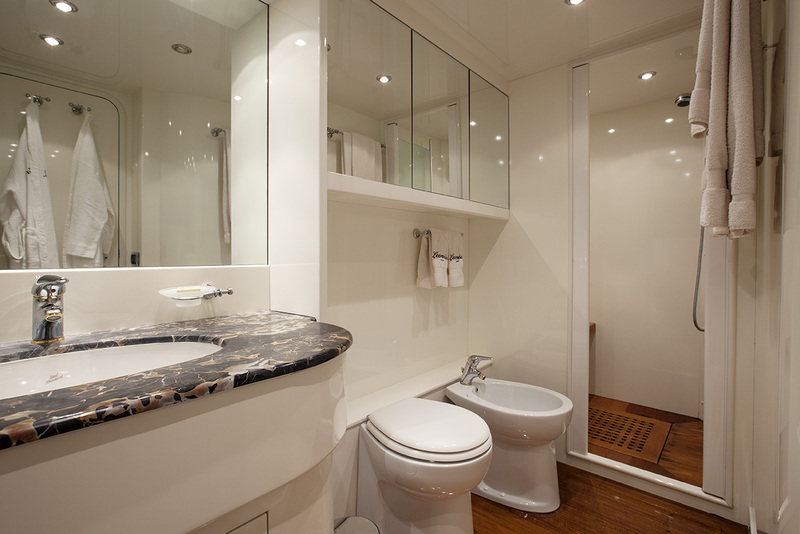 The Master cabin is located aft and features an ensuite with spa pool bath and a flat-screen TV. 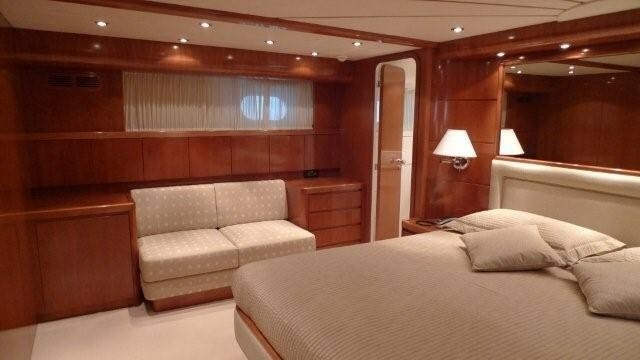 The VIP cabin has an en suite plus a flat screen TV. 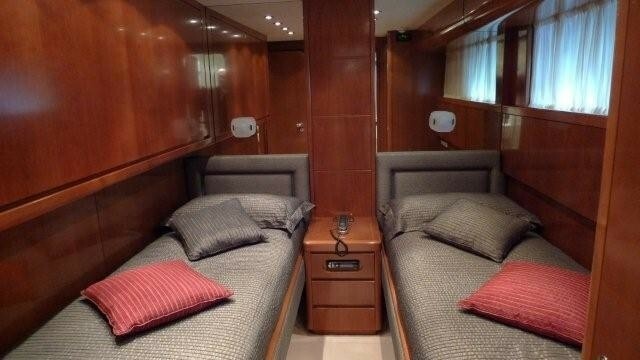 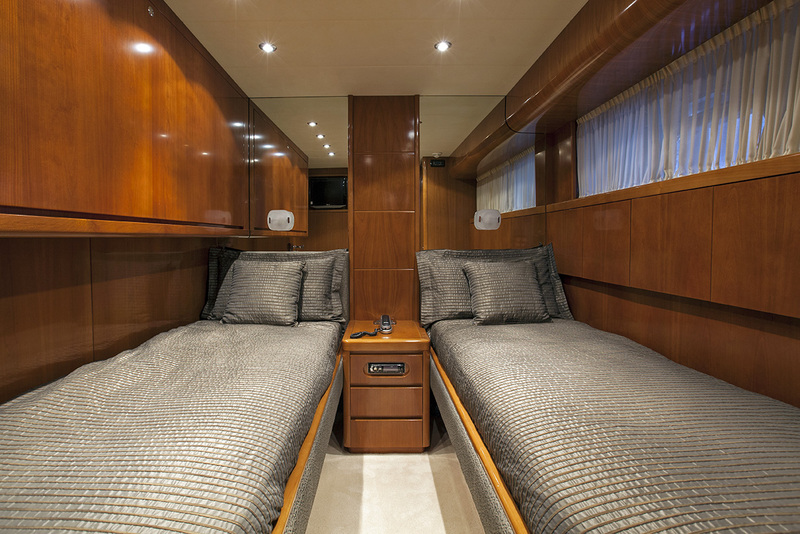 Two twin cabins each have a Pullman and en suite bathroom. 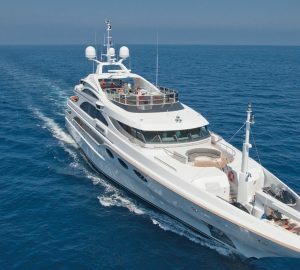 We do have available further amenity, owner and price information for the 26.10m (85' 8") yacht LEONIDA 2, so please enquire for more information.